Makenzies Miracle: The Little Things! This video is amazing! What I loved about it the most is the emphasis on how important the little things are! 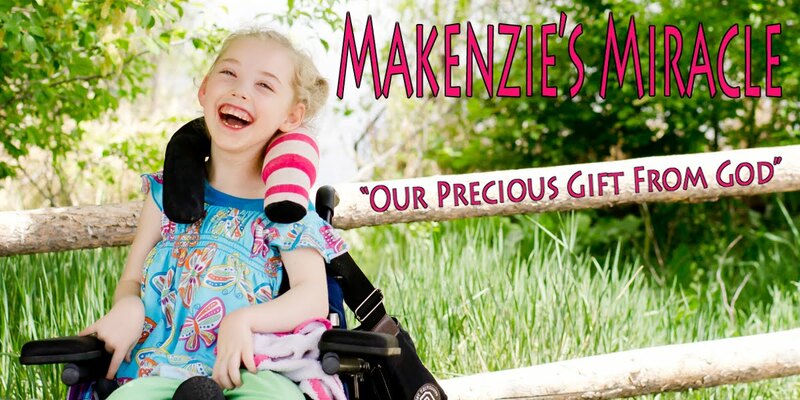 Makenzie has not only received several big improvements from her Stem Cells but even more little things! Things that most wouldn't think really matter but truly make a huge difference not only in Makenzie's life but our entire families life! Go 9 News and go Dom and H! Makenzie was a bit tight today but in happy spirits as usual. We spent the day hanging out at home other then our early morning trip to the store for groceries. The boys got to spend gift cards they received at Christmas. Nerf guns all around. I spent all day guarding my head from little green missiles flying through the air. They had so much fun. I am getting so excited for our trips. It is really all coming together! Next week is going to be an exceptionally busy week and then we are off to CA. Oh boy! Please pray for healing and safety!! Makenzie is doing so well. As with any therapy adventure there are no guarantees but we pray that God's blessing and healing power would be in each new treatment he has opened the door for us to do!